A camper trailer for adventurers who wants to go everywhere without spending a small fortune. Rest and relaxation in your favourite camping spot. That is what camping is all about. Nothing can beat the happy memories you will make by taking the family away to the bush or somewhere out of the way so the stresses of everyday life can become a vague memory and you and your loved ones can spend time with one another. Drive through creeks or over rocks, mountains or bushland to find a quiet spot that looks like home for the next however long, then set up, sit down and kick your feet up, its time to relax. 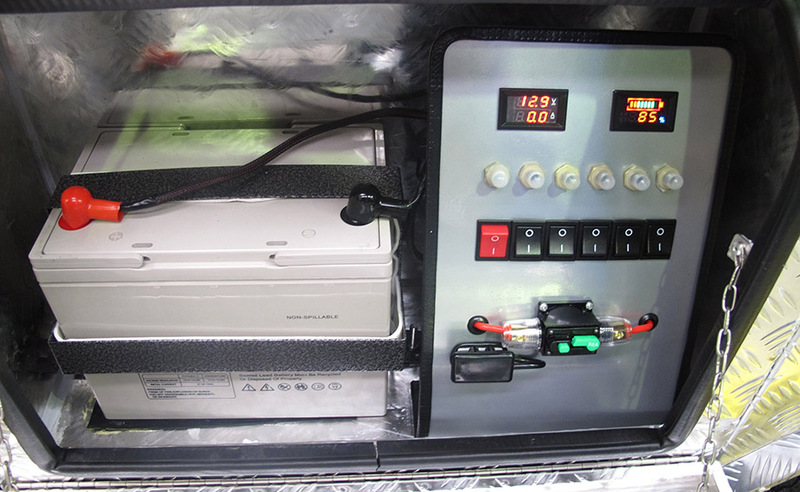 This is all made quite easy with a Mars Maven Camper Trailer. 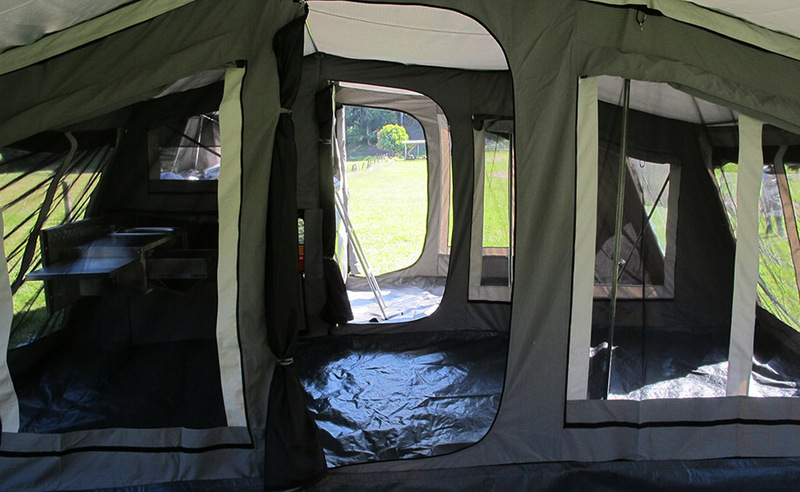 The Maven is the perfect blend of style, comfort and contentment in an affordable all in one package with all the features you would expect on a off road camper trailer. The Maven features twin shock independent suspension so you can tackle those challenging tracks you always hear about, coupled with lots of storage on the trailer tub and side storage boxes. 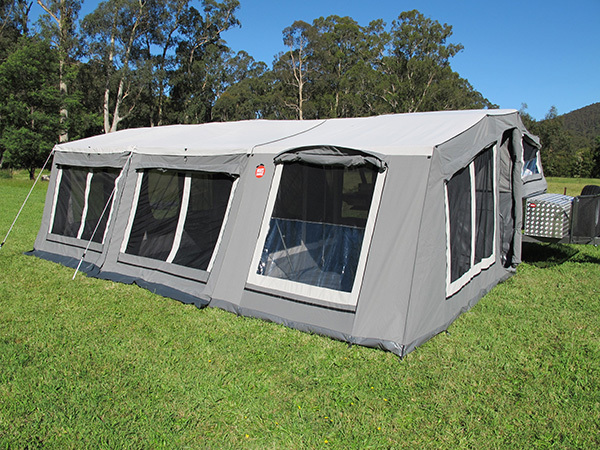 The Maven also boasts a massive fridge slide tool box mounted on a galvanised chassis/body with tough hammertone finish, extremely robust and balanced makes the Maven the perfect camper to take you to all the way around Australia. 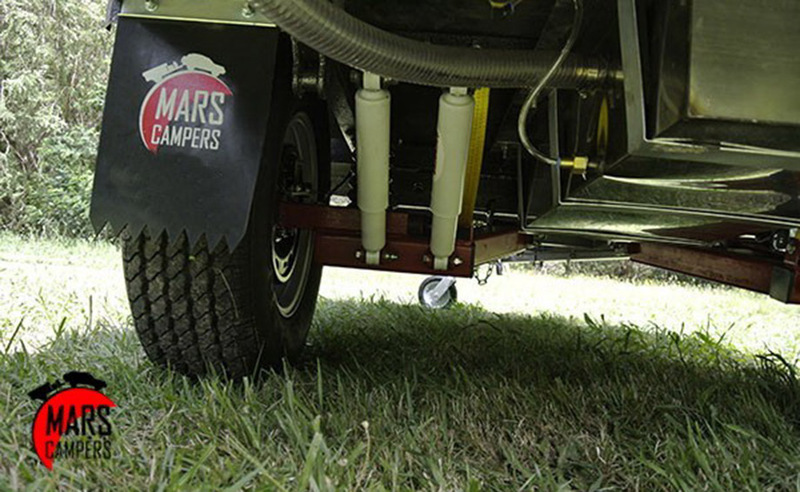 Mars Campers understand about suspension settings. Here you can't accept compromises, either too soft or too hard and everything will shake to pieces inside the trailer as well as the trailer itself. Incompatible suspension components will fall apart, fatigue and break sooner.